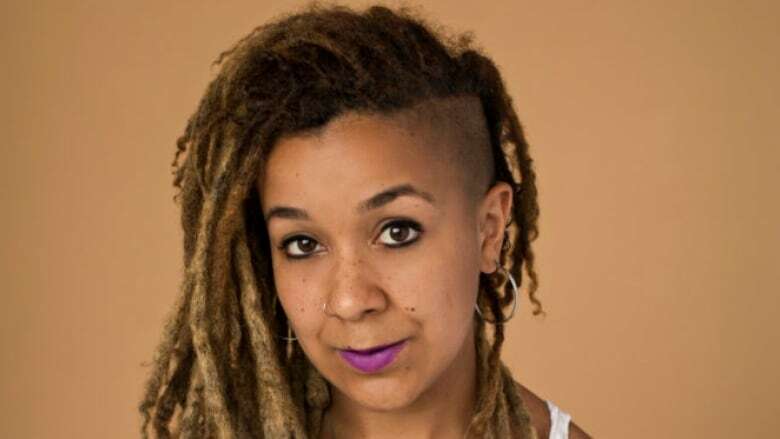 In the midst of a debate over a new law on religious neutrality and the merits of an inqury into systemic racism, a Montreal activist has come out with a new book detailing the history of "state violence" in Canada. In the midst of a debate over Quebec's new law on religious neutrality and watered-down inquiry into systemic racism, a Montreal activist has come out with a new book detailing the history of "state violence" in the province and across Canada. Policing Black Lives: State Violence in Canada from Slavery to the Present traces nearly 400 years of state-sanctioned anti-black violence, from the slave ships to the present, examining the state's role in perpetuating black poverty, incarceration, racial profiling, immigration. Maynard, who helped found the activist group Montréal Noir, says issues such as police brutality and the criminalization of black communities are often looked at as purely contemporary problems. 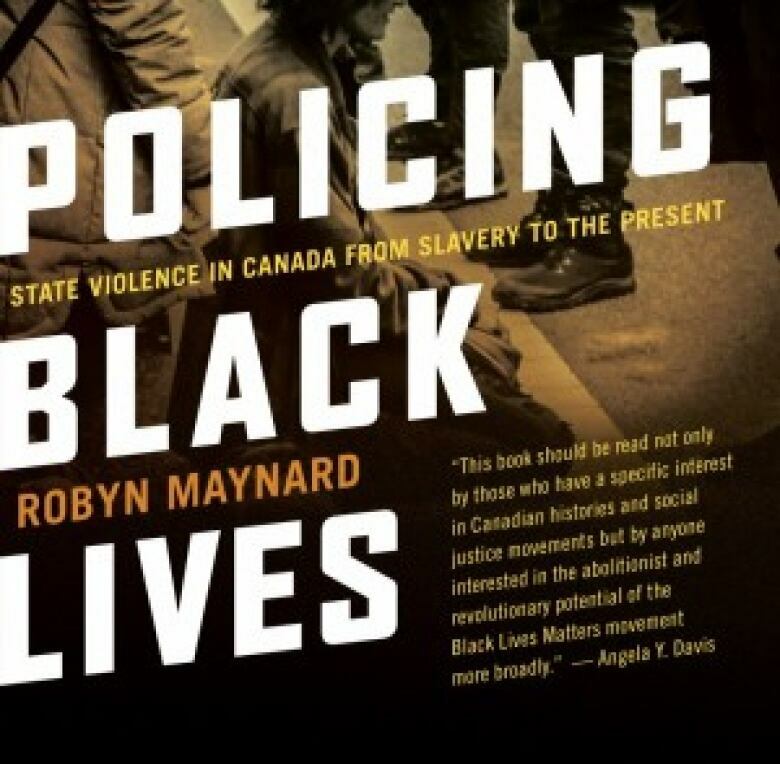 Policing Black Lives: State Violence in Canada from Slavery to the Present, written by Robyn Maynard, was published in October 2017. (Fernwood Publishing)The book, though, lays out how a long history of discrimination is behind many issues facing black communities today. Some of the most striking passages involve specific examples of discrimination. In 1734, for instance, an enslaved black woman named Marie-Joseph Angélique was "arrested, tortured, and publicly hung" attempted to flee her white mistress. Others draw on earlier academic research and journalism, such as the "discovery that the Montreal police used pictures of young black men as targets for their shooting practice throughout the 1980s." In a phone interview ahead of the Montreal launch of her book, Maynard talked about the process of writing the book and Quebec's current political climate. As someone already involved in social justice issues, what did you learn writing the book? I learned so much, really, throughout the writing of it. I was going through not only information around Canadian slavery but also dozens of government reports, and studies, so many different kinds of texts to try to create a bigger picture of what we're facing as black people in Canada. It took a lot of focus to really take the time to go in depth to tell the story that I was trying to tell. government agencies. There is so much that came out of doing that. populations and realizing it's something that really stems back to the 19th and early 20th century as opposed to a phenomenon that started in the late 1980s. There are examples in your book from all over Canada. But in your research did Montreal stick out? Something that really struck me was that, although the processes were really unique from city to city, you could see how similar the effects were. Even though Canada has such a heterogeneous black population, all black communities, regardless of where they are from, are impacted by things like heightened policing, over-incarceration, and things like that. Also, New France was actually home to the first enslaved black person in Canada — a black boy renamed Olivier LeJeune, who was brought here in the 17th century — that is an important history for this city that too often goes un-seen. And James McGill, of course, owned slaves, as did many other settlers, which is rarely addressed. These histories are often forgotten when we speak about Montreal's past, which makes it easier to disguise racial injustice today as an "immigration issue" when this dates back centuries. Do you think Montreal is headed in the right direction? If you look at the city of Montreal for example, we're not seeing city officials taking this really seriously. In Montreal, police are still not realising data surrounding the racial makeup of people that are arrested. And Quebec won't release the makeup of black prisoners in provincial jails. I think we have an issue where not only are we not addressing the problem, but we're not making it easy to address what the problem in fact is. I think we're in a really difficult place, in this moment, when as black activists and black researchers, we're still fighting to have access to information. Even though the United Nations actually just released a report that talks about the massive disproportionate discrimination of black people in Canada, it's not something that is being taken seriously. What's your take on debate around the systemic racism commission, which many have said is unecessary? I do think that it's ridiculous that it's seen as controversial to just have a consultation on racism. I think that the fact that it's a controversy really speaks to the desire to not name issues that marginalized communities are aware are real issues.